If you are looking for a new vibrant city to visit in the US, I recommend checking out Denver, Colorado! Home of one of the greatest quarterbacks of all time, the now retired, beloved Indianapolis Colts & Denver Bronco’s MVP, two time Superbowl Champion, Peyton Manning! (Wow that is a mouthful) Aside from that and the new legalization of marijuana which has served to be a billion dollar industry for them according to Forbes. I had no idea what to expect from Denver, until I was lucky enough to be able to visit this very special place. Check in counter at hostel fish. 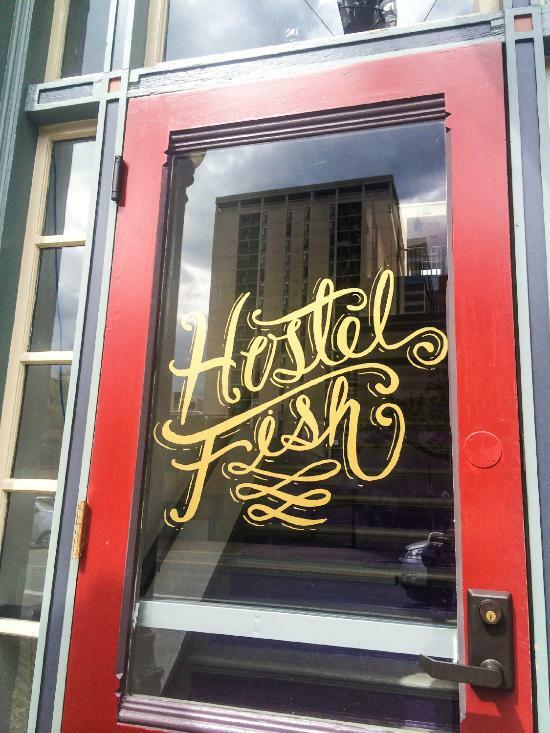 An old friend of mine decided to open a luxury hostel called Hostel Fish, in the heart of downtown Denver. 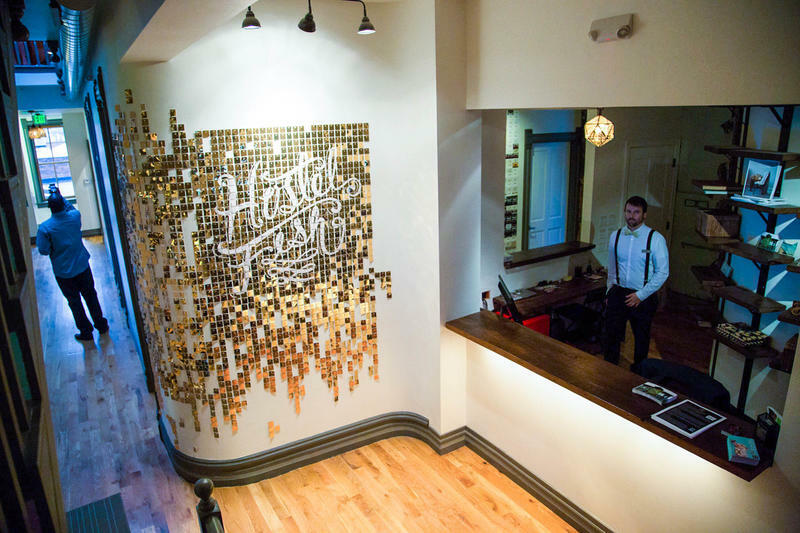 Yes, you read that correctly, a luxury hostel. Now us American’s are not as used to the idea of traveling and staying in hostels, but this happens to be very common in places like Europe and has served to be an incredible way for travelers to meet new people. Travelers are able to meet and foster friendships with other travelers from around the world. 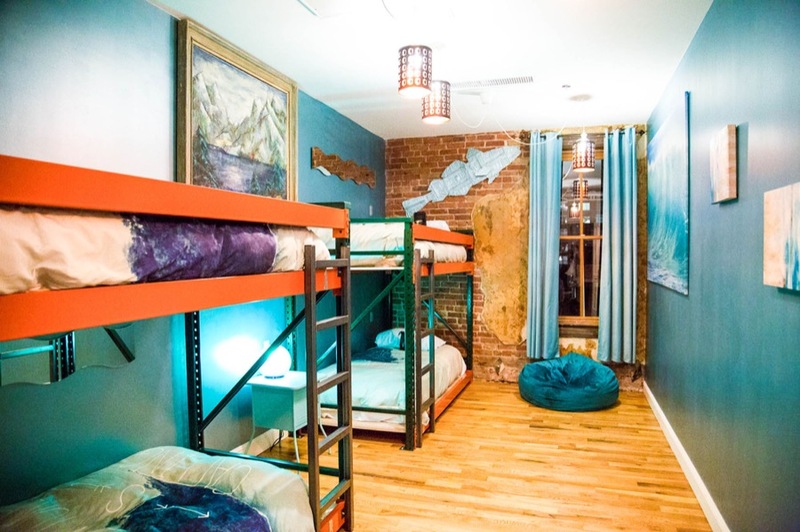 Hostels do exist in the US however, they are not quite like the ones you will find in other places. 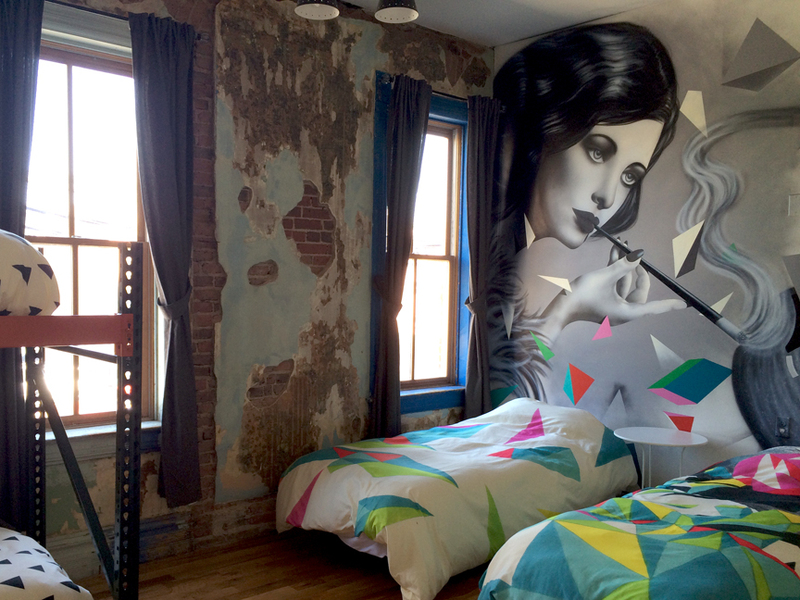 Until Hostel Fish, a place that describes itself as a “high-end joint that is Classy as F…(ish!) Bathrooms are shared and separated male and female. If you are not too keen on the idea of sharing a room then there are a couple private rooms available too. I was lucky enough to be invited to the Grand Opening of Hostel Fish. The lovely evening began with cocktails and appetizers in the downstairs common area/bar. Each room had new surprises as I wondered around taking it all in. They all have a different theme and everywhere you look you see something new. From vintage art pieces, reclaimed wood accents, a map room, a clock room, motorcycles, and even a wall of suitcases there is a surprise around every corner. Literally! It was fun seeing all the rooms and I was able to snap some fun pics. One room even pays tribute to the history of the building itself. The historic building has been a saloon, a brothel, an adult bookstore, and a peep show. The have a super friendly staff and really nailed the vibe with he neo-urban decor. The rest of the evening we enjoyed live music, a beautiful aerial dancer, and it was complete with a surprise firework show. Tick-Tock, taking a time out from the champagne and hors d'oeuvres in the clock room. This city of Denver and Hostel Fish will not disappoint, They offer activities like group tours and pub crawls for a fee. It also only a mile away from the Denver Art Museum and around the corner from the Aquarium, tons of shopping, and restaurants. The city itself is a very beautiful, very clean, city. I would say it’s a blend of Aspen and Austin, a little bit of country, a little bit of city, and an endless amount of healthy outdoor activities to enjoy no matter what time of year. You can go skiing, rock climbing, camping, and hey…now you can even legally smoke weed if you are in to that. Definitely stop in to Denver for your next US vacation, I fell in love with it! Vroom-Vroom Welcome to the All American Harley Davidson room. Where in the world am I headed to next?